We only partner with suppliers in Orlando, FL who design and manufacture sewer tools that are the best in the industry. 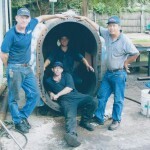 At Pat’s Pump & Blower in Orlando, Florida, we’re known for our pump and blower repair services. However, we do a lot more than just repairs. If you need a part for a broken pump or an entirely new piece of equipment to enhance your operations, we guarantee that we have whatever sewer tools you might need. When it comes to sewer tools, it’s essential that you figure out what tool will work first without having to go back dozens of times to determine which piece of equipment or part you need. Doing this can be extremely frustrating and may even negatively impact the efficiency of the project you’re working on. One of our main goals at Pat’s Pump & Blower is to not only just provide you with the sewer tools you’re looking for, but to help you make an informed decision. We want to become a source of information you can trust and that you turn to on a regular basis for all of your sewer equipment needs. We realize that when you need sewer tools, you want to purchase high-quality, reliable products. 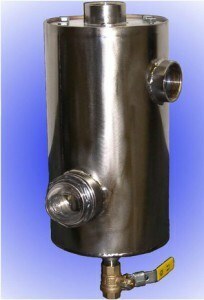 At Pat’s Pump & Blower, we only partner with suppliers who design and manufacture sewer tools that are the best in the industry. If you’re been on the hunt for a certain type of sewer tool, stop your search and turn to us at Pat’s Pump & Blower. To find out more about the sewer tools we keep in stock, give us a call today. If need new equipment, you can count on us at Pat’s Pump & Blower in Orlando, Florida to carry a variety of pumps and blowers from reputable manufacturers. At Pat's Pump & Blower we provide professional & reliable 24 Hour Service on a wide range of pumps & blowers in and around Orlando, Florida! Don’t Procrastinate Your Golf Course Pump Repairs!